On Sunday evening, it was raining celebrities at the red carpet of Hello Hall of Fame Awards 2019. Many A-listers like Ranveer Singh, Sonam Kapoor, Katrina Kaif, Janhvi Kapoor, Vicky Kaushal, Ayushmann Khurrana among others walked in wearing their stylish best for the ceremony. While we got our hands on the red carpet pictures of these celebrities, a new set of inside and unseen stills from the even are now circulated over the internet. In these below photos, we can see how Sonam Kapoor, Katrina Kaif and Janhvi Kapoor are bonding like any other girl gang. 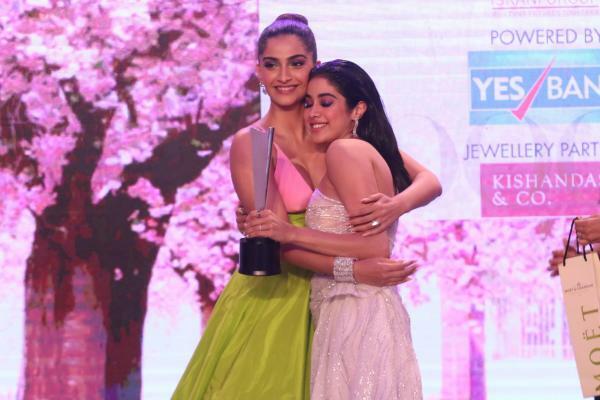 While, there's one heart-warming picture of elder sister Sonam hugging her younger one Janhvi as she bagged the 'Cinematic Debut of the Year' title. In another set of photo, we can see Bollywood's handsome hunks Ranveer Singh and Vicky Kaushal sharing a victory moment with each other. Looks like it was the moment right before Vicky went up to the stage to receive his Outstanding Talent (Male) Award. 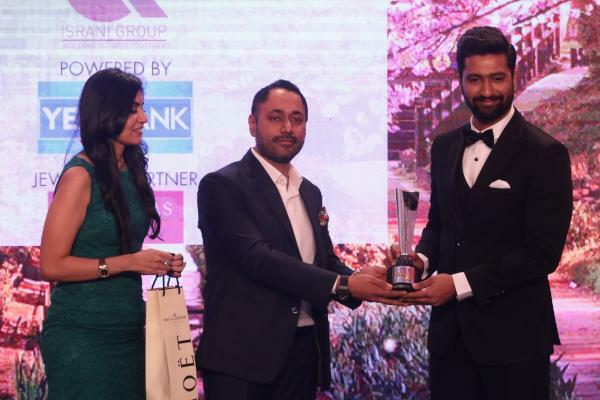 Here are few stills of these sizzling actors while receiving their award. 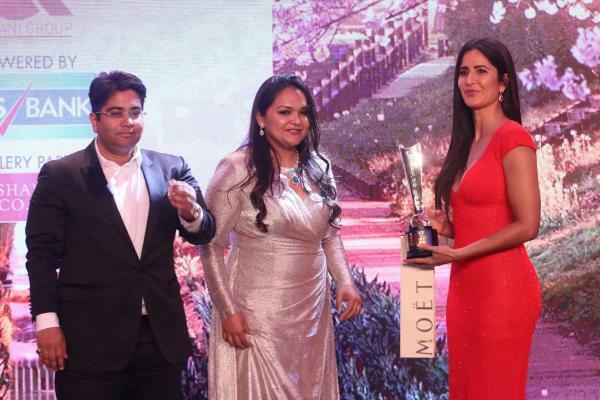 Katrina Kaif and Sonam Kapoor bagged Popular Choice Award (Female) and Path-breaking performances of the Year award, respectively. 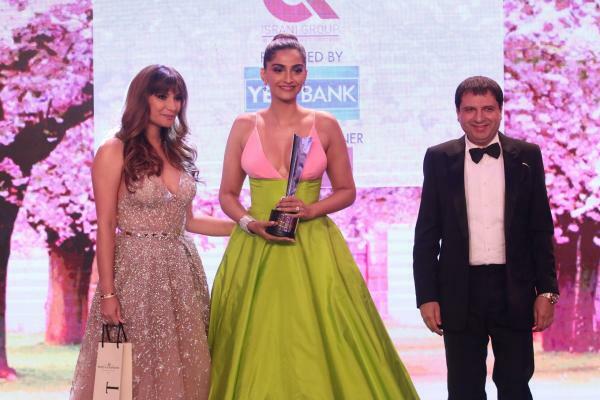 Speaking of their attires, Sonam Kapoor opted for a pink and lime green gown designed by Greek designer, Celia Kritharioti. She looked super stunning and we totally love the colour combination. Katrina Kaif chose a red gown by Naeem Khan and the body-hugging outfit perfectly accentuated her curves. She kept her hair loose with minimal makeup. Janhvi Kapoor stole the show in a glittery one shoulder white gown with a thigh high slit from Mae Collection Paris. #Stylebuzz: Priyanka Chopra's All White Avatar From NYC Streets.... After AndhaDhun, Badla EMERGES as the Orbit Breaking film of 2019!